If you are thinking of becoming a doomsday prepper there are many steps that you need to follow one step you want to do is start out slowly and start a three day emergency supply and as you get more experienced you can expand the seven days, 30 days or have an annual emergency supply. You’ll need water one or 2 gallons per person per day, first aid supplies, nonperishable foods, packets of prescription medications, and if you have pets you want to have some pet food. 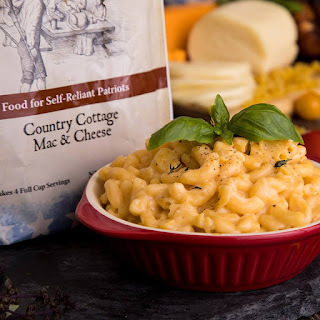 My Patriot Supply has nonperishable foods some Long Term Food Storage are three-month emergency food supply will provide one adult with 450 servings of a wide variety of healthy, delicious storable foods, drinks, and snacks for 90 days. Some of the foods you will find are Granny’s Home-style Potato Soup, Maple Grove Oatmeal, Country Cottage Mac & Cheese, Chocolate Pudding, Orange Energy Drink and more. Short Term Food Storage options are Single Serve Pizza, Franklin’s Finest Coffee, 1-week Food Supply and many more. Family Food Storage Options Hearty Winter Soups Kit, 6-Month Food Supply for 2 People and more. Special Emergency Food Kits options are Mega Protein Kit w/ Real Meals (88 servings), Fruit, Veggie & Snack Mix (114 servings), Ultimate Breakfast Kit (138 servings) and so many more. Fruit & Veggie Kits options are Fruit Case Kit (112 servings), Freeze Dried Broccoli Case Pack (48 servings), Sweetly Coated Banana Chips (33 servings) and so many more. 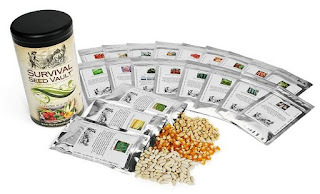 Meat & Protein Kit Options are Black Bean Burger (38 servings), Organic Bean Salad mix Sprouting Seeds (4 ounces), Freeze Dried Beef Case Pack (24 servings) and many more. Case Pack Food Pouches options are Creamer for Coffee Case Pack (360 servings), Buttermilk Pancake Mix Case Pack (48 servings), Instant White Rice (60 servings), and many more. Bulk #10 Can Food options are Traveler’s Stew (22 servings), Honey Powder (340 servings), Honey Wheat Bread Mix (48 servings), and many more. Franklin’s Fine Coffee options are White Sugar Case Pack (540 servings), Franklin’s Finest Coffee Sample Pouch 960 servings), and many more. All at My Patrot Supply for oyu to get ready. Anything else you could imagine needing in the wilderness! Those are a few ways to prep to get ready for any disasters or doomsday prepping.